"Making Invisible Galaxies Visible" was the subject of Tuesday afternoon's press conference. 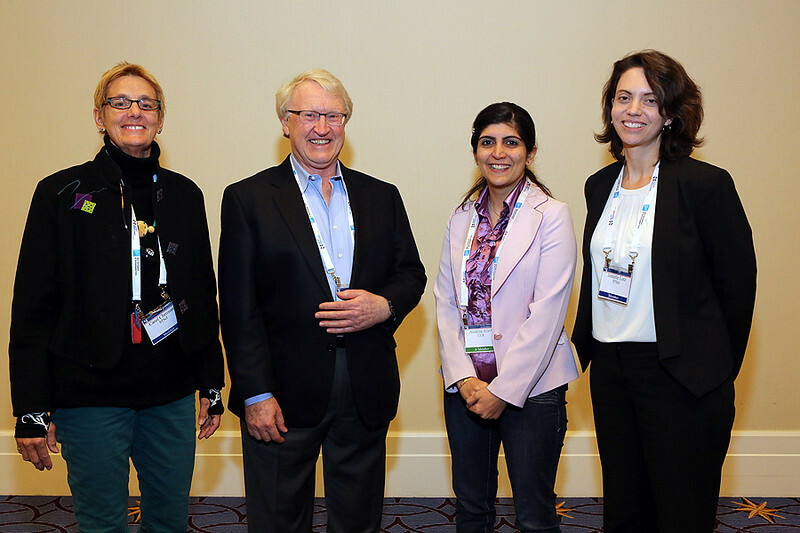 Speakers included Carol Christian (Space Telescope Science Institute) on a project that brings Hubble images to life as 3D models, Garth Illingworth (University of California, Santa Cruz) on the discovery and characterization of surprisingly luminous galaxy candidates at z ~ 9–10, Anahita Alavi (University of California, Riverside) on ultrafaint ultraviolet galaxies at the epoch of peak star formation, and Jennifer Lotz (Space Telescope Science Institute) on Hubble's new ultradeep Frontier Fields. AAS photo © 2014 Joson Images.